Many people may have a personal journal, diary, or calendar that they keep and update regularly. But whether or not you're a seasoned or a beginner diarist, we could all benefit from keeping a separate and defined journal for work. This may seem a little "extra", but in fact, keeping an old-school paper calendar or diary to keep track of to-do's and insights from your work life is a key tool for both long-term and short-term goal planning and personal development. A work diary can help you see where your time went, help in tracking progress on your goals, and will become an incredibly tool when it comes time to prepare for your annual review. Additionally, keeping a separate work diary will help you reflect more pragmatically on your wins and losses, see your own personal growth and build your inner confidence, improve your project planning and intuition skills, and finally, is sure to help you out when it comes to keeping your work to-do's and tidbits organized. As an avid writer, journaler, and person who likes to Write. Everything. Down. I feel uniquely qualified to share with you the ways I have used a separate work journal to be more successful and happy in my workplace, so that’s what I'll talk about in this first installment article. Next week, in a separate post, I'll be sharing specific strategies on how you can actually implement and keep this new habit, along well as some recommendations for paper products you can use to suit your own particular work journaling needs, so be sure to check back! Keeping a work diary is a simple yet effective technique to improve nearly every aspect of your 9-5 life. Work Journaling : Part 1 - Why You Should Keep a Separate Work Diary. I have two diaries. The first is a personal diary, that is really more like a journal. This is my creative outlet and personal habit tracker. I write things here that are uniquely for me - not for anyone else's eyes or benefit. My work diary is quite different. It is more like a calendar, in that it has specific slots for each month, week, and day. And I only write down to-do's, details, insights, meetings, appointments, tasks, and insights relating to work. A work diary is like the LinkedIn version of a personal diary - still personal, but much more professional, and devoid of anything you wouldn't want your boss to read or know about you. That's because you are going to be keeping this diary at work, carrying it around at work, and using it exclusively for work. So don't keep anything too personal or private here in case someone picks it up, sees it open on your desk, or asks to see it during your reviews or meetings. For a work diary to be truly useful, you're going to have to write in it. Daily. And although I believe the max daily commitment for keeping up with something like this shouldn't be more than fifteen to thirty minutes a day, it's still going to be a commitment. So why commit to adding another to-do to your already busy schedule? Because this work journal is literally going to change your work life for the better! Use your diary to move the needle on key project deliverables. Get your most important projects done first by holding yourself accountable and tracking your time daily and hourly. 1. Your Work Diary Will Help You See Where Your Time Went. You know those days - you come in to the office, have three meetings, five interruptions, a team lunch, and an emergency client email to respond to- and suddenly it's five pm. Or maybe you have a month like that. You have a laundry list of things you wanted to accomplish on the 1st, but come the 31st you feel like only one or two of them actually got done, the and rest have stagnated. Wondering where your precious time went? An active practice of time-keeping in your work diary will help you to see what you actually did with those 40+ hours each week, giving you valuable insights on how you can improve and streamline going forward. To do this successfully and easily, I recommend finding a diary with daily pages that are divvied up by the hour, so you can write as you go about the day exactly what you are working on or what meeting you are attending by the hour. Prepare for your annual review throughout the year by keeping detailed records in your diary. 2. Your Work Diary Is Going to Help You Negotiate that Next Raise, Promotion, or Lucrative Opportunity with Ease. One of the things that is most difficult and anxiety-provoking about preparing for your annual review is the effort it takes to reflect on your past year and gather all relevant evidence priot to the meeting. But with a daily diary chock-a-block full of the projects you've worked on, the people you've trained, or the times when you went above and beyond the scope of your essential job duties, you've just cut your time preparing in half. By keeping detailed records throughout the year, you won't have to stress so much - you'll only need to sit down with a glass of wine, your diary, and your computer to start compiling a solid list of why you rocked it in the previous year. Another great bonus of keeping a work diary - you'll never stress about forgetting a project, a detail, or an accomplishment. If you've kept detailed notes and a steady record, you'll find everything you will want to discuss with your boss in between the cover of your diary. Learn from your losses (and wins!) with daily, weekly, and monthly self-reflection. 3. Your Diary Won't Lie To You About Your Past Mistakes - But It Will Also Showcase Your Wins and Achievements. Personal reflection and a more well-rounded, realistic sense of self are the things we get from keeping a detailed Diary. This means that if you totally drop the ball on a to-do, make a big mistake, or otherwise make a regrettable decision, your diary will kindly point those losses out to you - as well as their ramifications. Over time, you'll see where your blindspots, struggles, and areas for improvement are. Patterns will emerge, and you'll begin to know yourself better so that you can begin to get better at whatever issue it is you would like to improve for yourselff. Conversely, your diary will also show you the times you slam-dunked a project, blew through a task with ease, or felt super confident in your skills and abilities. Again, you'll get to know specific strengths better, and learn how to leverage these talents for even more gains in the future. Stay organized and aware of key due dates and milestones with a detailed work diary. 4. Your Work Diary Will Keep Your Organized and On-Top of Things. There's just something about the physical act of writing something down on paper that cements the thought into our heads. Studies have shown that for most people, the act of recording meetings, due-dates, appointments, and project deliverables down in a digital calendar just does not provoke the same sense of memory recall as putting it down with pen and ink on paper. 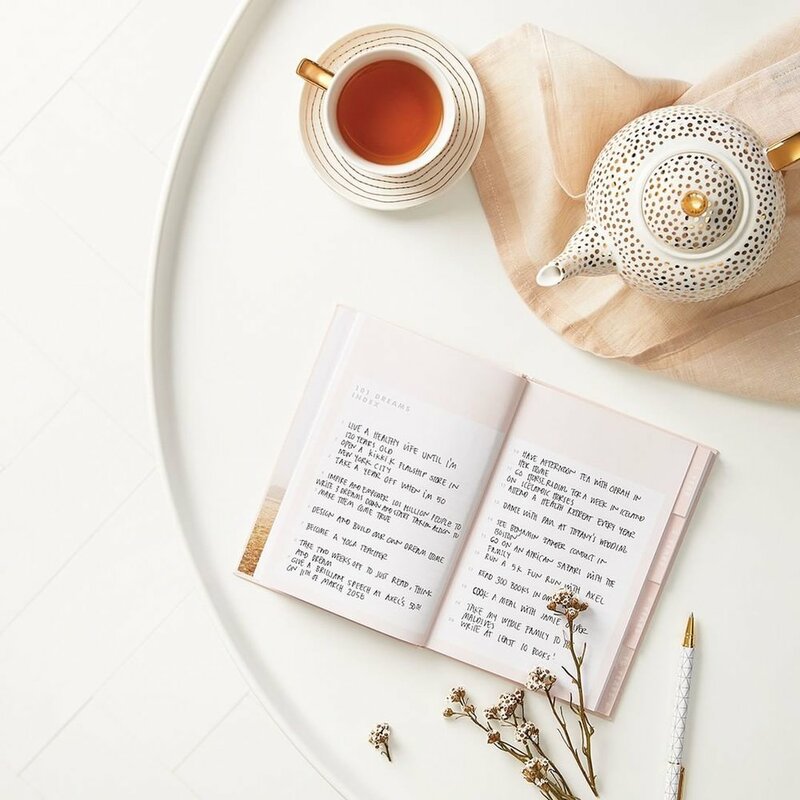 Now, I am not saying that you write everything down in your diary, but for important due dates, meetings, and assignments that you just cannot afford to blank on, I suggest writing those dates down in your diary as insurance against forgetting. Additionally, by keeping project due-dates, notes, and tasks together and in the same-place (ie, your diary) you'll never have to go looking through your email, or slack channel, or Evernote notebooks, to find the morsel of information again. I will repeat - you should not create double work for yourself by writing everything down in your diary, but for projects or bigger to-do's that are made up of a lot of sub-tasks, you can keep certain key details that you know you will always need to have to-hand in your diary, labeled in separate sections, to help you be more efficient and on top of the many moving pieces that make up our modern work life. Write in your work diary daily to improve project management and people skills. 5. Your Work Diary Will Improve Your Project Management Skills, as Well As Your Intuition. The ability to plan longer-term projects and break down big goals into manageable chunks is an essential skill for any job or industry. Secondly, a strong intuition and a developed ability to anticipate future problems, opportunities, and outcomes is a necessary soft skill, especially if you are looking to move into a higher position or into a leadership opportunity. Your Diary, if managed correctly, will help you improve both skills over time. By using your diary to plan your long-term goals for the month and year, it will be that much easier to apply this same sub-goal and coordinating action-step thinking to your organization or department. By keeping daily records of what projects, meetings, and team conversations you've had as well as their resulting outcomes, you'll become more practiced in appropriately guessing outcomes of other initiatives in the future. This will help you both when working with numbers, tasks, and with people. Review your diary regularly to see how far you’ve come & build confidence in your work and skills. 6. Your Diary Will Help Build Confidence in Both Yourself and Your Work. It sounds bizarre, but I am confident that by keeping a detailed work diary for at least six months in a row or more, you'll develop an increased sense of confidence in yourself and in your work that will be well-worth the effort. This will be due in part to a couple things. First; keeping a steady diary practice and sticking to it, takes a certain amount of discipline and focus. If you keep a detailed diary for any length of time, you'll gain a sense of confidence and trust in yourself knowing that you're able to keep and build on healthy, constructive habits. And by seeing the fruits of your work labor written out in physical form, you'll see the personal progress you've made on your goals and objectives, which will definitely make you feel proud for a the things you've accomplished - both big and small. Finally by keeping an organized diary, you'll become a more expert project manager and team leader. That feeling of knowing you have all your important details and information to-hand is a priceless confidence booster. 1. Track your time and hold yourself accountable. 2. Learn from your wins as well as your losses. 3. Stay organized and up-to-date on key deliverables and due dates. 4. Improve your project management skills as well as your work intuition. 5. Build confidence in yourself and your work! As you can see, keeping a separate work diary has many benefits, ranging from the pragmatic, (increased organization and a sense of order), to the financial (helping you negotiate a pay raise with ease), to the personal. Whatever your reasons to starting this habit if it's new to you, or keeping up with your habit in a more disciplined way if it's something you've already begun to dabble in, I hope the things I have experienced and shared here inspire you to pick up pen and paper and do something wholly beneficial for your work self. If you're looking to start a new habit for 2019, consider starting a daily work diary. It's a great tool for reflection, organization, and overall wellbeing at work! Be sure to check back next week, where I'll be sharing in a separate post how you can keep up this new work journaling habit, as well as some common misconceptions to avoid, and resources and links for specific tools that can help you get started.